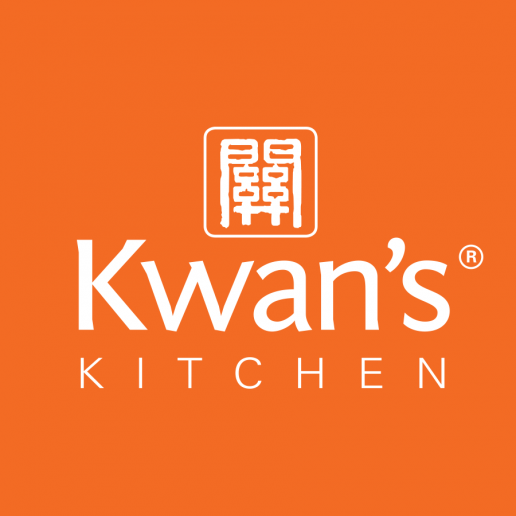 Kwan’s Kitchen is based in Edinburgh and offers award-winning, authentic Chinese condiments and stir-fry meal kits. 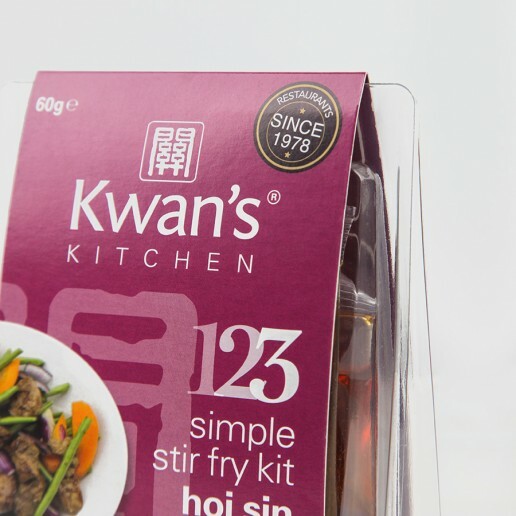 Kwan’s were in the process of expanding their product range and therefore required new packaging sleeves, as well as improvements to functionality and visual appeal within the existing range. 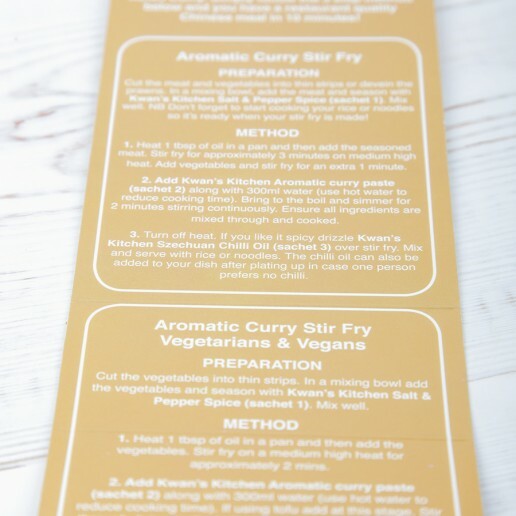 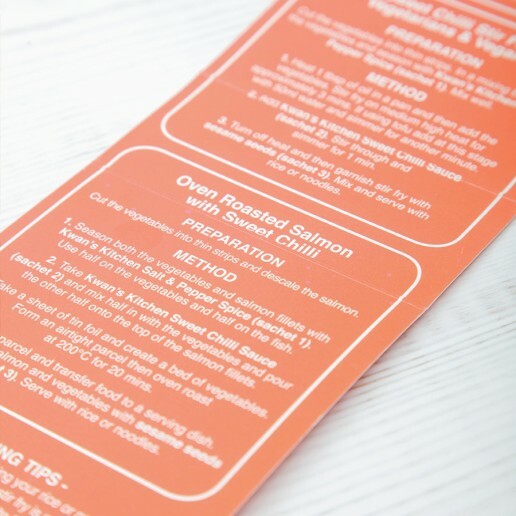 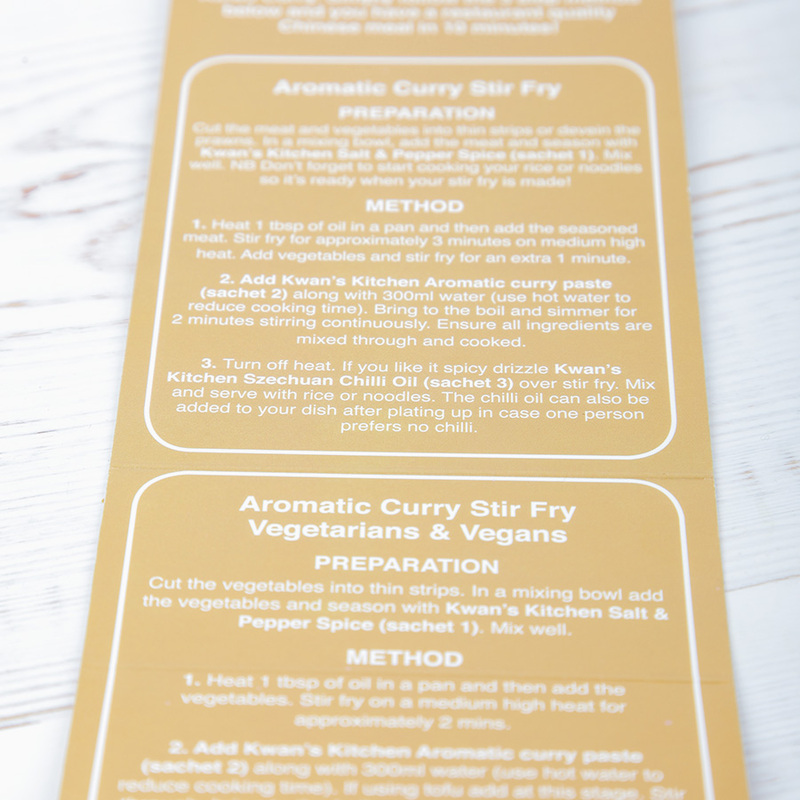 We edited the designs to fit in a new packaging template and selected new a Pantone colour for the new stir-fry kit.